New Trailer Arrives For PET SEMATARY Remake! It has been thirty years since PET SEMATARY was first released into theaters. Based on Stephen King’s novel, the 1989 film brought to life some haunting imagery that Horror fans will never forget. There has been talk of a possible remake for years and it is finally happening. Filmmakers Kevin Kolsch and Dennis Widmyer were previously selected by Paramount Pictures to remake PET SEMATARY. The brand new official trailer has arrived and can be viewed just below. Amy Seimetz is set to play Rachel Creed, who is the mother of children Ellie and Gage and is the wife of Dr. Louis Creed. Jason Clarke was previously announced to take on that role. John Lithgow plays the part of Jud Crandall, the neighbor that has the scoop on the Pet Sematary. Alyssa Brooke Levine will play the role of Zelda. Victor Pascow will be played by Obssa Ahmed. 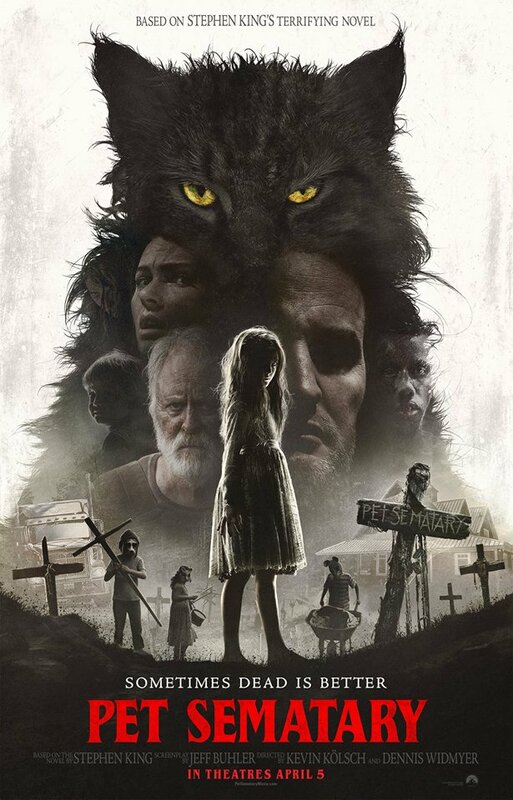 "Based on the seminal horror novel by Stephen King, Pet Sematary follows Dr. Louis Creed (Clarke), who, after relocating with his wife Rachel (Seimetz) and their two young children from Boston to rural Maine, discovers a mysterious burial ground hidden deep in the woods near the family’s new home. When tragedy strikes, Louis turns to his unusual neighbor, Jud Crandall (Lithgow), setting off a perilous chain reaction that unleashes an unfathomable evil with horrific consequences." The screenplay is written by David Kajganich, who penned the upcoming SUSPIRIA remake, and Matt Greenberg, who is credited for the writing of the Stephen King adaptations 1408 and MERCY. PET SEMATARY remake will hit theaters on April 5th 2019.